Home Gear & Ammo Ammunition Is The 6.5 Creedmoor The New .308? The .308 Winchester has been an old standby for long-range shooters and hunters for many years, but is the relatively new 6.5 Creedmoor a contender for knocking the .308 off its throne? For quite some time, the .308 Winchester has been the benchmark of accuracy; a great many shooters have come to rely upon it for punching paper out to 1,000 yards and beyond. Based upon my latest experiences at the FTW Ranch in Barksdale, Texas, I believe there is a new contender for the crown: the 6.5 Creedmoor. The SAAM Precision shooting course offers marksmanship training in field situations with plenty of challenging winds, and targets at a variety of distances and angles. I was able to spend quite a bit of time behind a good 6.5 Creedmoor and see what it was all about. Queue the 6.5 Creedmoor vs 308. I took the course with my pal Keith Warren, who was shooting a quality AR from Nemo Arms chambered in .308, and we were able to compare and contrast the two cartridges. While Keith and his rifle had great success, I did notice a few things about the Creedmoor that I really liked, and my mind immediately went to the reloading possibilities for this little wonder. Based on the .30 T/C case (a derivative of the .308 Win. itself), the 6.5 Creedmoor is a medium-velocity affair, with factory loads pushing a 140-grain bullet to a muzzle velocity of just over 2,700 fps, and some of those 140-grain slugs give a fantastic ballistic coefficient (BC), which is part of the magic here. It was developed and released by Hornady in 2007, appearing in the company’s catalog the following year. Compare the 6.5 Creedmoor vs 308 and, you’ll find the smaller cartridge will retain supersonic velocities for an additional 200+ yards, avoiding that transonic “dirty air” that can give unpredictable results, and making hits at the 1,000-1,200 yard range a bit easier. Like the .308 Winchester, the Creedmoor is a “sweet-shooting” cartridge, but unlike the .308, seeing your impact with the Creedmoor is an easier process, as there is significantly less muzzle jump. The Creedmoor is easier on the shoulder, an important factor for extended competitions or shooting sessions. The Creedmoor is not a large case, and with the longer bullets that give the highest ballistic coefficient values and best long-range trajectories, case capacity will be taken up by the bullet, so I like the powders that will best fill the case, without being overly compressed. These range from VARGET and IMR8208 XBR up through Alliant’s Reloder 17, IMR4350 and Western’s BIG GAME. My own best results, in a borrowed rifle, came with near-max loads of IMR4451 (working up carefully, of course), and the 140-grain Hornady ELD Match. The Creedmoor runs on a standard Large Rifle Primer, but for the accuracy this case is capable of, I’d opt for the Federal GM210M Gold Medal Match primers, to keep things as uniform as possible. Brass is obviously available from Hornady, and Norma is producing its excellent component cases as well. I prefer the Creedmoor in a bolt gun to maximize accuracy, but you can also find MSRs chambered for it. Either way, but especially for the gas guns, I like to full-length resize my cases. It’s the sleek, sharp 6.5mm bullets that really make this cartridge shine, both at the target range and in the hunting fields. The new Hornady 140-grain ELD Match is available as a component bullet, which means you can take full advantage of the G1 BC of 0.610, to achieve that long-range performance you’re after. Berger makes a couple of target-worthy bullets as well, like its 140-grain Hybrid Target (BC of 0.618) and the AR Hybrid OTM Tactical (BC of 0.564), which has been designed for best performance from the magazine-fed rifles. The Creedmoor is one of the few instances where I feel the handloader can easily match, or possibly safely exceed factory velocities, should you choose to. Even at factory specs, with a 140-grain slug with a BC approaching or exceeding 0.600, the Creedmoor will stay supersonic out to 1,300 yards or more, depending on the combination. To use a pretty fair comparison, the .308 with a 175-grain MatchKing bullet will need 36.9 MOA elevation at 1,000 yards, while the Creedmoor with a 140-grain A Max will only need 30.6 MOA; that’s a significant difference. As a hunting rifle, I like the Creedmoor for deer and deer-sized game, and maybe for animals up to the size of elk, with proper shot placement; that said, the Creedmoor is easy on the shoulder and will allow for excellent shooting. Bullets like the 130-grain Swift Scirocco II, the Hornady 129-grain InterBond, and the Barnes 127-grain LRX would all give a decent combination of BC value and retained weight for deep penetration and a quick kill. If you choose to use one of the longer bullets in your Creedmoor, and case capacity is becoming limited, try using a ball powder like Hodgdon’s H414 or H380. They will take up less room in the case, avoiding heavily compressed loads and broken grain structures, yet still give excellent performance. I’m glad you asked. Yes, I dearly love the 6.5-284 Norma; it is one of my favorite hunting cartridges below .30 caliber, and I wouldn’t hesitate to use it on anything south of a bull moose. But, just like there’s room for the .308 Winchester and the .300 Winchester Magnum, I can see room for both the Creedmoor (which is easier on a barrel and will extend throat life, and allows you to call your shots) and a 6.5-284 Norma (which offers a bit more case capacity and thus more horsepower). Down at the FTW Ranch, the shooting instructors, mainly comprised of ex-Navy Seals, all shot 6.5 Creedmoor for the reasons I stated above, plus factoring in the availability of good, affordable ammunition. That said, when I return to the FTW for the Advanced Precision course, I’ll be bringing my 6.5-284 to measure what appreciable differences I’ll see at the longer ranges the FTW has to offer. If you’re picking out a new cartridge, and the 6.5mm caliber suits your needs, please don’t overlook the Creedmoor; it will make a really nice round for a young shooter or a new shooter, delivering plenty of accuracy and killing power in a neat, concise package that will buck the wind well, and help to train a newbie. I feel it’s a much better choice than any of the 6mms for a new hunter, as it will handle the larger species much easier. To answer the question in the title of this article, yes, I do believe the 6.5 Creedmoor will slowly unseat the .308 Winchester on the target ranges. The virtues of this cartridge will prove to many an experienced shooter that the 6.5mm diameter is the wave of the future. Watching an inexperienced 18-year-old young woman progress from “how to load the magazine” to “I just rang steel at 1,400 yards,” in three days of instruction at the FTW solidified how well this cartridge performs. Here’s to the Creedmoor! Editor’s Note: This article is an excerpt from the September 2016 issue of Gun Digest the Magazine. Anybody that REALLY knows the Creedmoor and wants REAL accuracy will be using the small primer brass. I am a fan of 6.5mm – or .256 inch for our British brethren and sistren – and have been for some time. My ‘anything’ rifle is a much ‘sporterized’ 1894 Swede in 6.5x55mm Swede. I recently adopted a 1903 Mannlicher-Schoenauer in 6.5x54mm. The Creedmoor variation seems to be on the right track, except it falls prey to the increased horsepower fallacy. Walt Bell killed a bunch of elephants with a 6.5x54mm Mannlicher-Schonauer in the old days. Load specifications being a 160 grain FMJ bullet at just under 2200 fps. The Swede cartridge is the same bullet just a bit faster. The Creedmoor variant also falls into the “…gotta fit into an AR-15 platform…” hysteria. I suppose if one has the desire to shoot in some game of firing many, many rounds into a far away target, this makes sense. Personally, the Swede and M-S do very well and bolt guns make hits fast enough to satisfy me. None of this is to demean the 6.5 Creedmoor. Just to point out it doesn’t really do anything new or better than existent cartridges. In a word – No. The .308 is available EVERYWHERE on the planet. The 6.6 Creedmoor is and will continue to be a niche caliber in comparison. It may become more popular in specific shooting circles, but that is about it. In a word – No. The .308 is available EVERYWHERE on the planet. Y The 6.6 Creedmoor is and will continue to be a niche caliber in comparison. 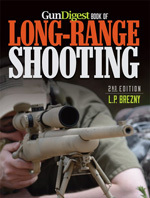 It may become more popular in specific shooting circles, but that is about it. I have not shot a Creedmoor yet but have loved my 6’5×55 for many years. Hard to find ammo except to hand load. But for elk or moose I always go to my old 30.06. Maybe it’s just that I am old but I just love those two. The 30.06 has been a mainstay for over 70 years.and still knocking them down. If it’s not broke don’t fix it. But my 6.5×55 is lighter and flat shooting for smaller game as far out as I can see.